Actual P-38 Lightning attack on Japanese positions in Batangas in WWII. Image source: United States National Archives. Colorized courtesy of Algorithmia. The United States’ Army’s liberation of Batangas began in earnest with the landing of forces on the shores of Nasugbu on the 31st of January 1931, although the initial objective of the landing was to block off the retreat of Japanese forces south to escape the advance from the north of the US 6th Army. The liberation of Manila over and done with, by March the US Army started to push out from Nasugbu this time to free Batangas from the yoke of Japanese occupation. But even prior to this, Japanese positions were being attacked from the air by the United States Air Forces, then a branch of the army that would subsequently become the United States Air Force1, to “soften” them for the upcoming liberation. The aerial attacks were being carried out mostly by the Far East Air Force (FEAF) of the United States, the “military aviation organization of the United States Army in the Philippines just prior to and at the beginning of World War II2.” The FEAF was reorganized in Australia after American forces surrendered to the Japanese in 1942. These attacks are given below in chronological order, extracted from a publication entitled “United States Army Air Forces in World War II: Combat Chronology 1941-19453.” For the purposes of this article, presented only are aerial attacks from 1944 to 1945 and within the Province of Batangas. 1 December 1944: Batangas Airfield, which used to be a FEAF facility until taken over by the Japanese, was attacked using Lockheed P-38 “Lightning” fighter aircraft. 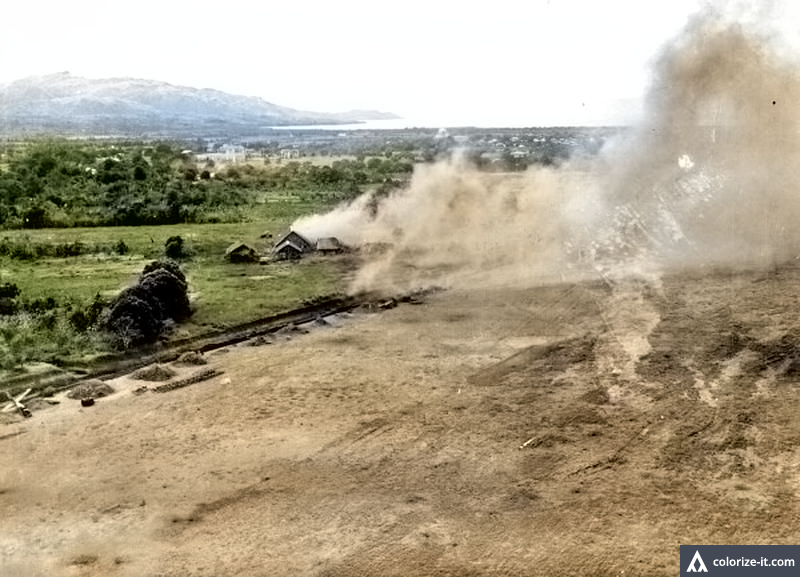 Photo of the Batangas Airfield under attack by American planes in 1945. Image source: United States National Archives. Colorized courtesy of Algorithmia. 22 December 1944: The FEAF used Curtiss P-40 “Warhawk” fighter aircraft to attack Lipa Airfield. This was known as Lipa West Airfield to the Japanese. 2 January 1945: In sweeping operations that included bombing raids on Clark Airfield and other locations in the Philippines, Batangas Airfield was again attacked from the air, this time using the North American B-25 “Mitchell” medium bomber aircraft. 8 January 1945: B-24 and A-20 aircraft were used to attack Lipa and Calingatan Airfields, which were right next to each other and were called by the Japanese as Lipa West and Lipa East Airfield, respectively. 12 January 1945: In another large scale operation using the Consolidator B-24 heavy bomber aircraft, Batangas Airfield was again attacked. Also attacked were Japanese facilities as far away as San Jose del Monte in the north and Legaspi in Bicol. Batangas Airfield was bombed again on 12 January 1945 using the B-24 heavy bomber (above). Image source unknown, U.S. Air Force archived photograph [Public domain], via Wikimedia Commons. READ: “Fernando Air Base: Its World War II Roots” for more on the Lipa East Airfield of the Japanese Imperial Army. 14 January 1945: The FEAF maintained momentum and again hit Batangas Airfield. 27 January 1945: B-25 aircraft pounded Calingatan Airfield. This was referred to by the Japanese as the Lipa East Airfield. 29 January 1945: Fighter planes hit Japanese defensive gun positions in the area of Batangas town and Verde Island. 3 February 1945: A-20 attack aircraft were used primarily to support activities of United States Army ground troops. At around this time, ground troops were occupied in the pursuit of Japanese Imperial Army forces up the mountains to Tagaytay4. A-20 aircraft supported US Army ground troops in Batangas in 1945. Image source: USAAF [Public domain], via Wikimedia Commons. 4 February 1945: A-20 aircraft bomb Lipa and Calingatan Airfields. 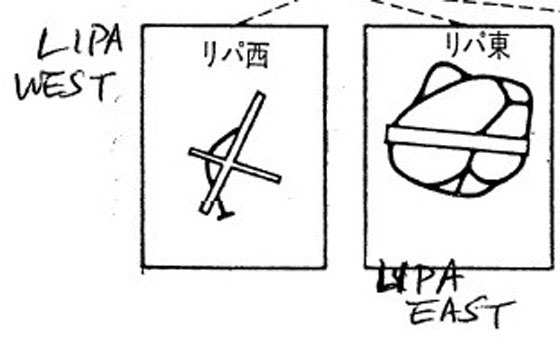 These were actually right next to each other and were referred to by the Japanese as Lipa West and Lipa East Airfield, respectively. 9 March 1945: B-25 and fighter-bomber aircraft hit Japanese targets in Lipa. It was on this day when American troops started moving out of Nasugbu. 10 March 1945: Fighter-bombers hit Japanese Army positions in Batangas. 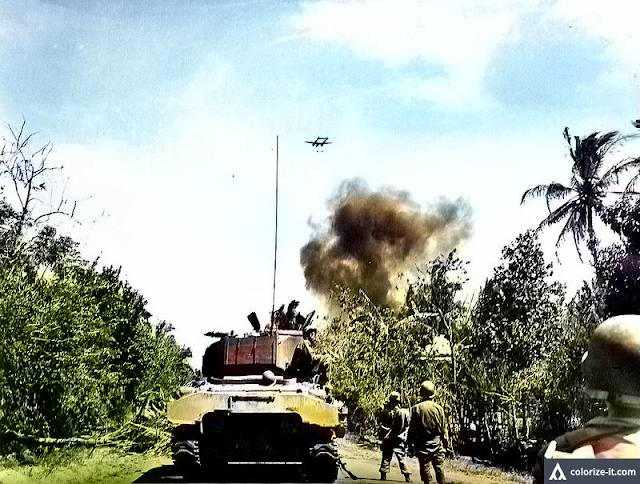 At about this time, United States Army troops had moved out from Nasugbu and moved quickly south to liberate Balayan, Lemery, Taal and the Calumpang Peninsula5. 15 March 1945: A-20 and Republic P-47 “Thunderbolt” fighter aircraft were used by the FEAF to attack Japanese gun positions around Batangas. 18 March 1945: Heavy bombers and A-20 aircraft supported ground operations in Batangas. There were other operations in Luzon and the Visayas. 21 March 1945: In large scale operations all over Luzon, B-25, A-20 and fighter aircraft attacked Japanese positions in Lipa. 22 March 1945: Sustained attacks continued using B-24, B-25 and A-20 aircraft in Batangas. The same aircraft were used to attack Japanese positions in San Fernando and Balete Pass. 24 March 1945: B-24, B-25, A-20 and P-38 aircraft continued their raids on Batangas, along with Japanese positions in Balete Pass, Legaspi and other parts of Luzon. 26 March 1945: A-20 aircraft and fighter-bombers were used to support ground operations in the towns of Batangas as well as Cavite and Tayabas (presently Quezon Province). At around this time, US Army troops had taken Cuenca but were still involved in heavy fighting in Mt. Maculot. American troops had also started closing in on Lipa. 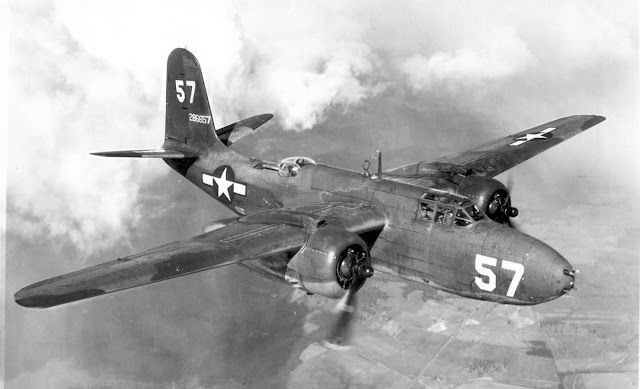 27 March 1945: Air attacks continued in Batangas using B-24, B-25, A-20 and fighter-bomber aircraft. The North American B-25 bomber. 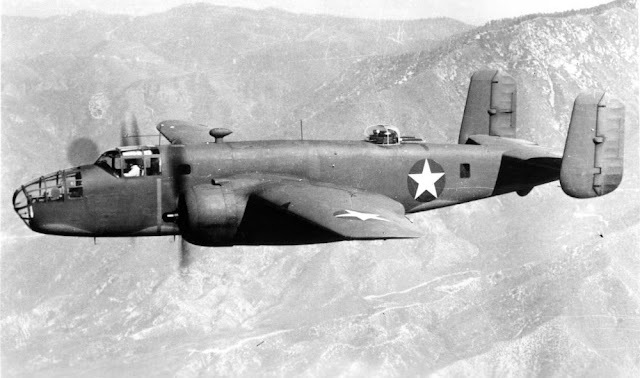 Image source: SDASM Archives - Mitchell North American B-25C, Public Domain, https://commons.wikimedia.org/w/index.php?curid=38857604. 28 March 1945: The attacks were relentless as more B-24 aircraft and fighter-bombers were employed in support of ground operations in Batangas. 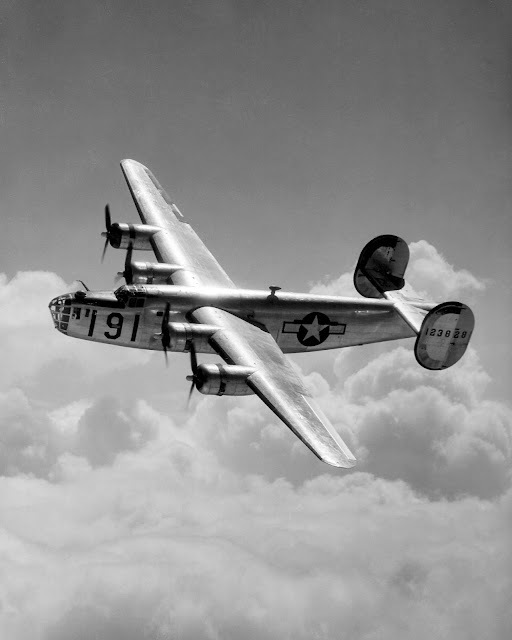 1 April 1945: B-24, A-20 and fighter-bomber aircraft hit targets in Batangas. At around this time, the town of Lipa had already been captured, but the Japanese had withdrawn to Mt. Malepunyo the east of the town to set up their defenses. These were the positions that were presumably being attacked. 11 April 1945: Troop support strikes were conducted in Batangas. These were likely at Malepunyo and Maculot. 28 April 1945: A-20 and fighter-bomber aircraft again support ground troops in Batangas. Japanese resistance at about this time was almost coming to an end, and these operations were likely at Mt. Malepunyo and Mt. Maculot. 1 “United States Army Air Forces,” Wikipedia. 2 “Far East Air Force (United States),” Wikipedia. 3 “United States Army Air Forces in World War II: Combat Chronology 1941-1945,” compiled by Kit C. Carter and Robert Mueller, published 1991 by the Center for Air Force History, Washington DC. 4 “The Angels: A History of the 11th Airborne Division 1943-1946,” by Major Edward M. Flanagan Jr., published 1948 in Washington. 5 Flanagan Jr., op cit.